Phase II of “Transform Uganda” Begins! 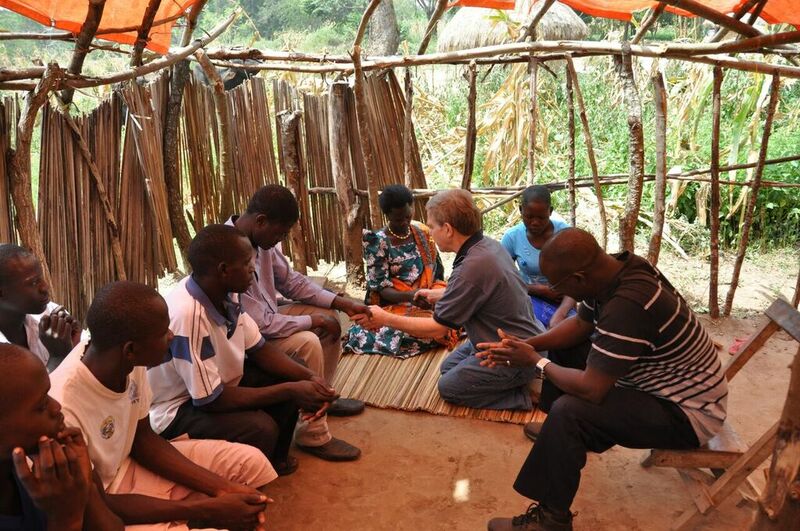 Recently, I was in Uganda with Pastor Marc Andresen to visit the 10 church plants that began last July. Our primary goals: to check on the young church plants, encourage and teach the pastors, and to begin planning for Phase II of Transform Uganda. This multi-year, multiple church plant strategy is the vision of our long-time friend and ministry partner, Arthur Magezi. 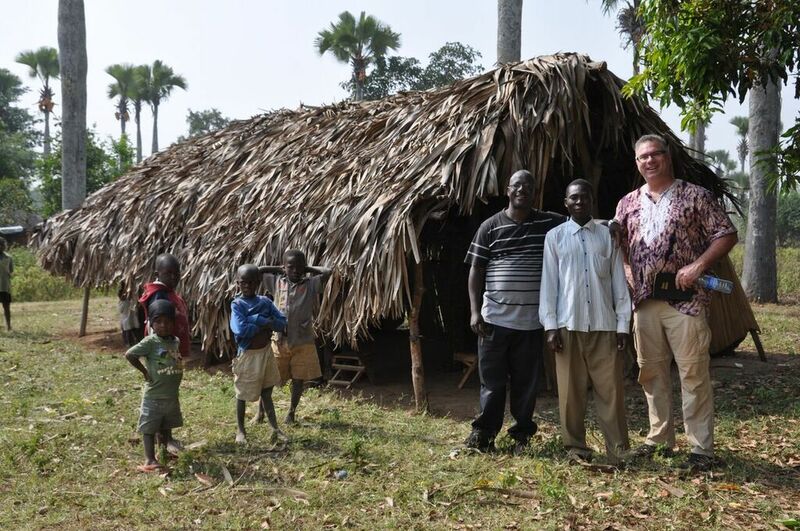 When Marc, Arthur, his wife Esther, and I arrived at one of the villages we were stunned. Last July, when many gave their hearts to Christ, this small village had no church. All they had was a very, very small tarped-over structure in which to meet, and only 12 people could sit under this gathering place made of reeds and tree branches. As we pulled up to the village and got out of the van, I exclaimed with great joy “Oh my, Esther, they have built a church!” Esther and I were so excited to see the spiritual growth, numerical growth, and ownership in building a house of worship. 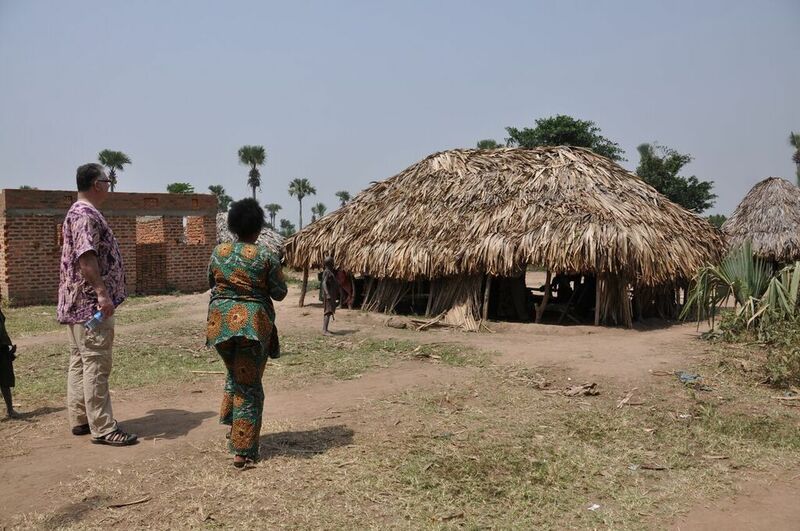 I had been with Esther last July when we were in this village and they had no church. Both of us were thankful for what we were seeing. Over the course of the week, we visited several of the village bush churches. And to our amazement, many had built a church building! These new churches, eight of which are in villages that had never had a church before last July, are growing spiritually and numerically. 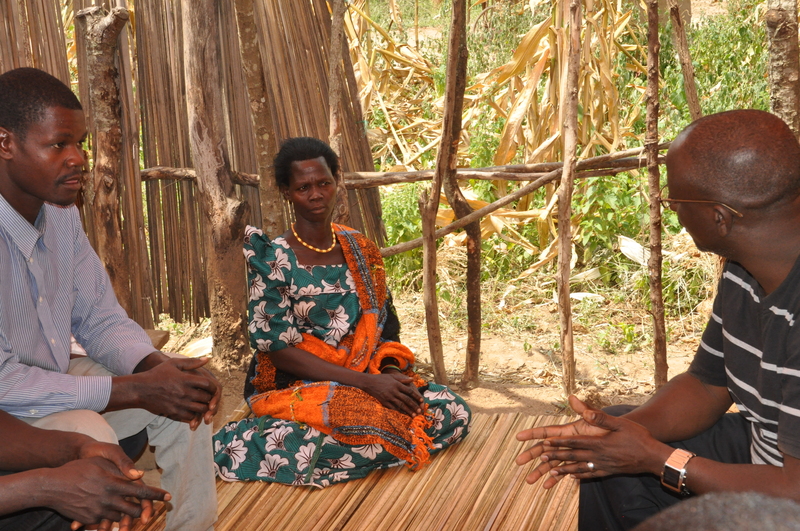 While we were in the village of Ngole, Fred and Jessica, two local villagers spoke with Arthur for a period of time. Fred went home to change into his best clothes. Jessica has been involved with an indigenous local cult called Nua. While we were ministering to the local church in Ngole, Pastor Arthur noticed a man in his mid-twenties making bricks. He also noticed an older woman sitting under a nearby tree. They were just across the road, maybe 25 yards from the church. They were from a distance, listening to the worship music and the stories being told about Jesus. The Spirit of the Lord told Arthur to go and speak with them. Over the course of the next hour, Arthur listened, asked questions, and told them about Jesus. Jessica needed to hear that Jesus was not Nua, a local cult that the leader claims to be the embodiment of Jesus and therefore he is to be worshipped. The Lord convicted Jessica in her heart and mind that Nua was not the real Jesus. In Fred’s case, he felt he had lived a good life and responsible life but did not know what to do with guilt from sin. Arthur spoke with Fred about guilt, sin, and Christ’s loving sacrifice. Jessica and Fred, each listened to Arthur as he addressed each of their questions and concerns. As the light and truth of the Gospel penetrated Fred’s heart, he told Arthur he wanted to go home and change, and come back to the church. Fred then proceeded to his village hut, changed into fresh good clothes and returned to the church. While Fred changed, Jessica crossed the road, entered the church, and sat on a reed mat on the floor. Before many witnesses, they both confessed their sins and invited Jesus into their hearts! Jacob, the young church planter in Ngole, praised the Lord and said “one by one they keep coming.” His meaning was clear, the one and only church in Nglole, started last July, is slowly growing as new believers are added day by day! Previous PostThank you for Help Us with Transportation!Next PostA Motor Scooter and Bicycles for Local Pastors!